I’d planned to work on a technique were I made nice long curves in fabric, but I think it will have to wait until next week, since my little girl has a high fever. Next week, I hope, I iwll have it ready to go. 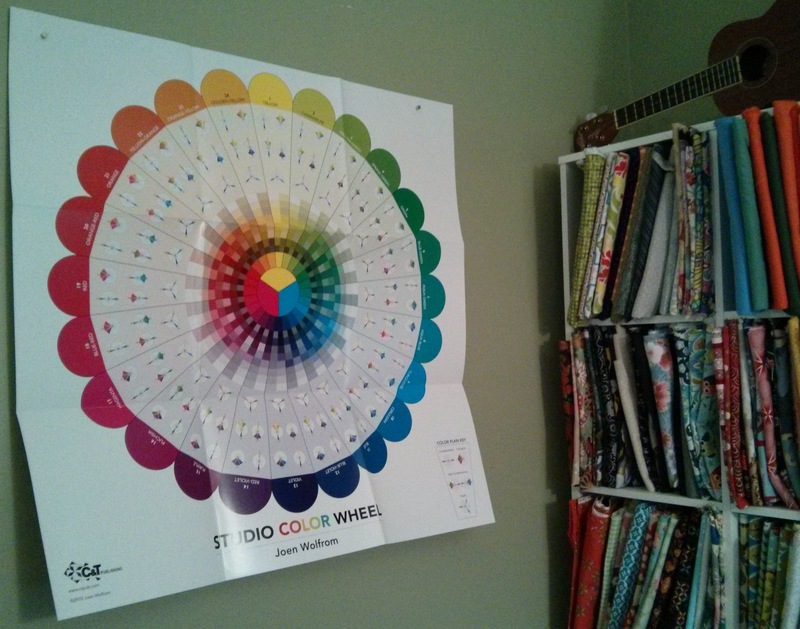 While she’s listless and watching TV next to me, though, I have been trying to get my sewing room in order, and one of the things on my list was to hang this quick-reference color wheel based on Joen Wolfrom’s 3-in-1 color tool that I really love. Since I can’t make up my mind where I want things to go, I end up changing things around, and I a) hate taping stuff to the walls for lots of reasons and b) hate taping things to the wall, Neither do I want to hang this thing in a frame since both sides are functional. Here’s my fix, which we’ve actually have been using for years: a command strip, a metal washer, and a rare earth magnet (one of those tiny, strong ones). I know you can buy this whole kit for $$ somewhere (at least you could when I ran across this idea around 2005), but I can’t remember where and am too lazy to go looking for it right now. Anyway. This is cheap and it works great if you have a decision-making disorder like yours truly. Put the strips on the wall where you want to hang the corners of your poster. Add the washer on top of that. The 3M command strips come right off. I have also used these to hold instructions to the wall next to my cutting board, or for holding fabric. Why yes, I *do* hate this wall color, relic from when this was my fella’s office and then the playroom. I plan to track down some more washers and tack the bottom down, too. 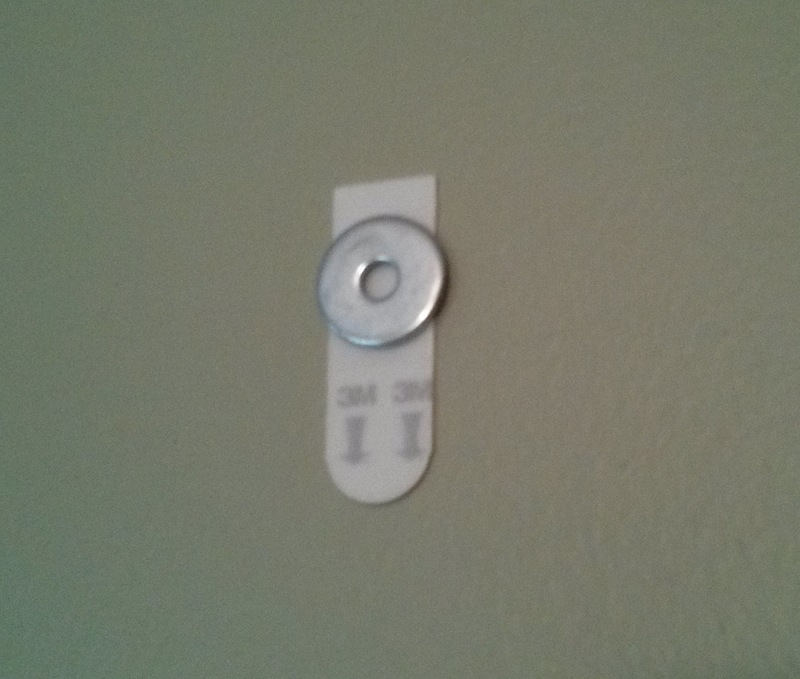 The nice thing about the command strips is that if you need to move things around, they are non-scarring. Voila.